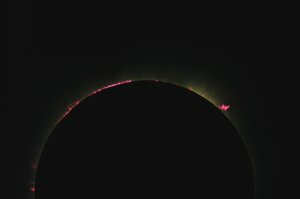 I observed the eclipse from the beach at Morombe, approx 45 kms south of the centreline. 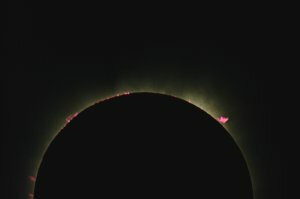 The view above shows my colleague Mike Foulkes aligning his cameras. 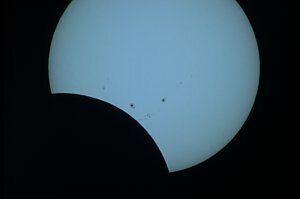 My tripod and lens are on the right. 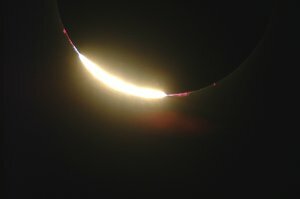 At this location the eclipse should have lasted for 2 mins 22 secs but some large lunar valleys produced a string of Baily's Beads which reduced totality to 2 mins 16 secs. 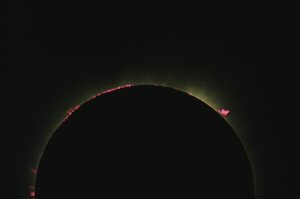 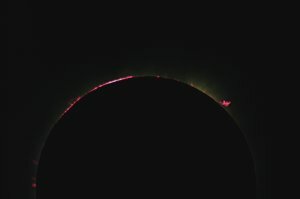 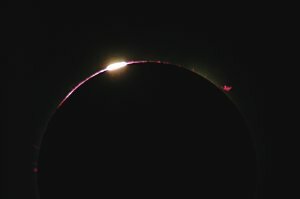 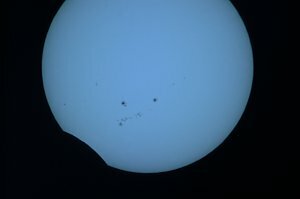 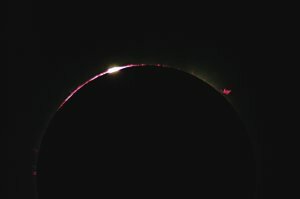 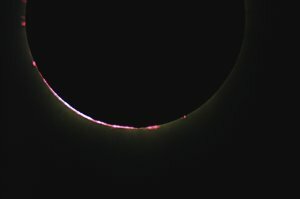 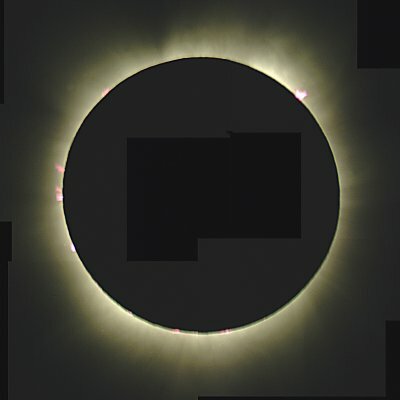 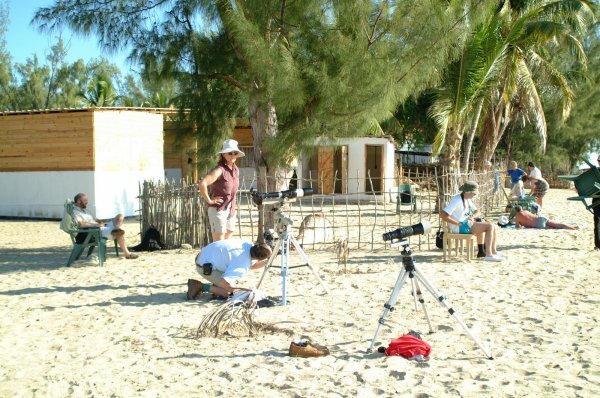 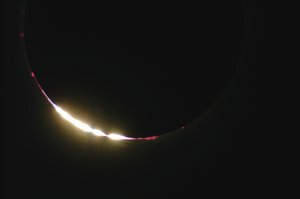 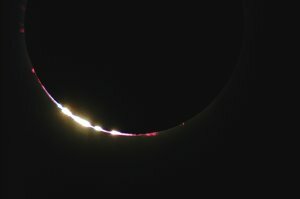 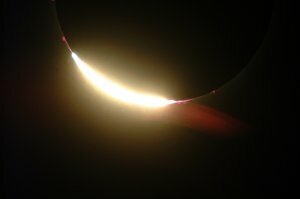 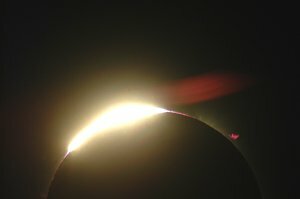 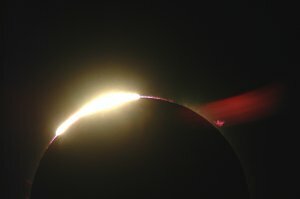 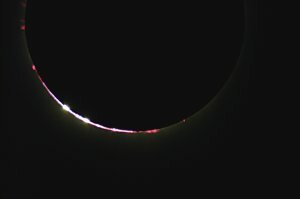 Another feature of the eclipse at this location was that the Sun set over the ocean at the same time as fourth contact occurred. 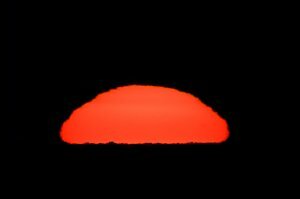 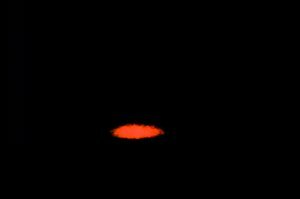 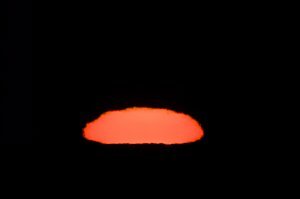 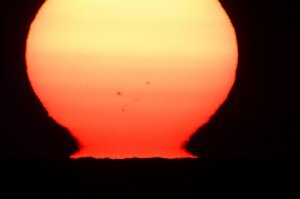 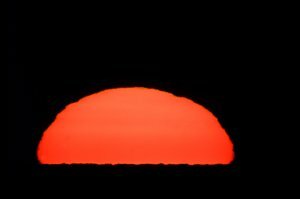 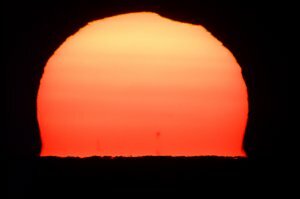 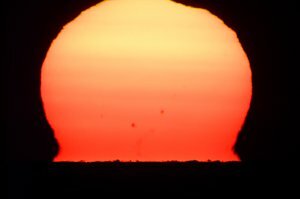 The Sun turned a brilliant red colour and any observers using telescopes or binoculars saw a "green flash" as it finally set. All images © 2001 Derek Hatch. If you would like copies of the images they are available on CDROM.